MCC has workers or financial commitments in more than 60 countries around the world, including the U.S. and Canada. Watch this short video about MQC to learn more about what makes us unique. The MQC offers bolts of fabric, quilting and sewing notions, as well as handmade quilts and comforters. Not only do we want to be the place you buy your quilts and supplies, we want to be the place you volunteer to be part of a ministry dedicated to relief, development and peace in the name of Christ. Everyday (except Sundays and holidays), volunteers staff our retail quilt store, assisting customers in selecting fabrics and notions, registering people for classes, and managing our inventory of high quality fabrics. Additionally, specially trained volunteers operate MQC's longarm machine, finishing quilts on behalf of the quilting community. Each Monday morning quilters gather at the MQC to hand quilt, tie comforters, have coffee, share recipes, and have fun. 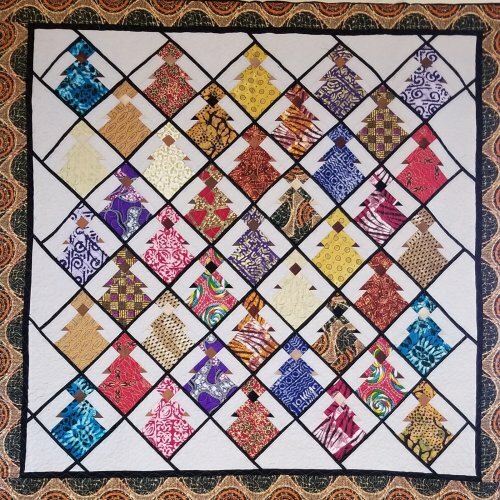 Their quilts are displayed in the MQC's quilt museum in February and auctioned at the annual West Coast Mennonite Sale and Auction for World Relief held at Fresno Pacific University each April.